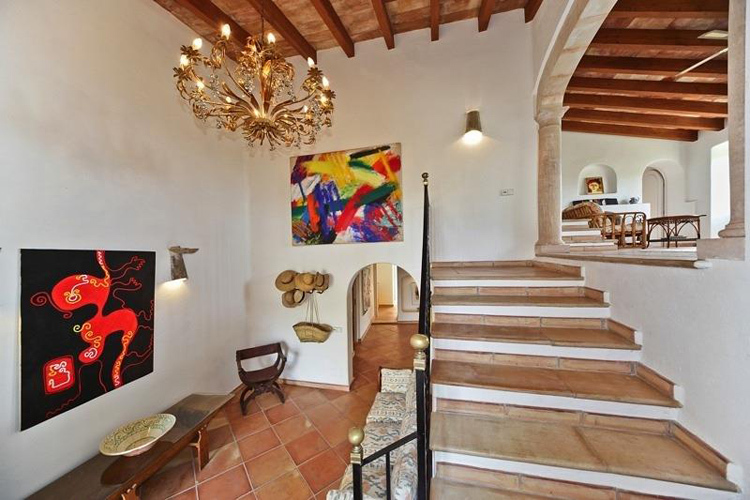 This is a departure from my usual tastes (especially because I can feel the pulverizing heat of the sun just from looking at these photos), but this home in Majorca, Spain is gorgeous. It’s for sale for $5.5 million, a veritable steal given the TEN bedrooms and eight bathrooms. You could use a different bathroom every day of the week without repeating! Six of the bedrooms are in the main house, with the remaining four located in the guest house, which also has its own pool. 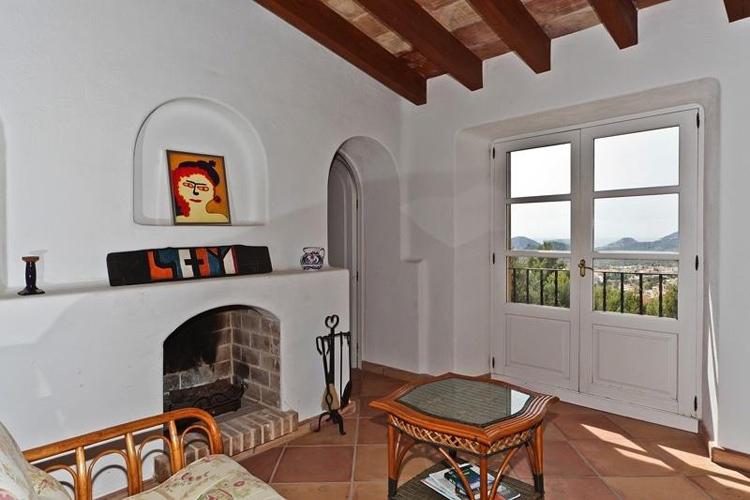 The house has views of the Tramuntana mountains and the Puerto Andtrax harbor. 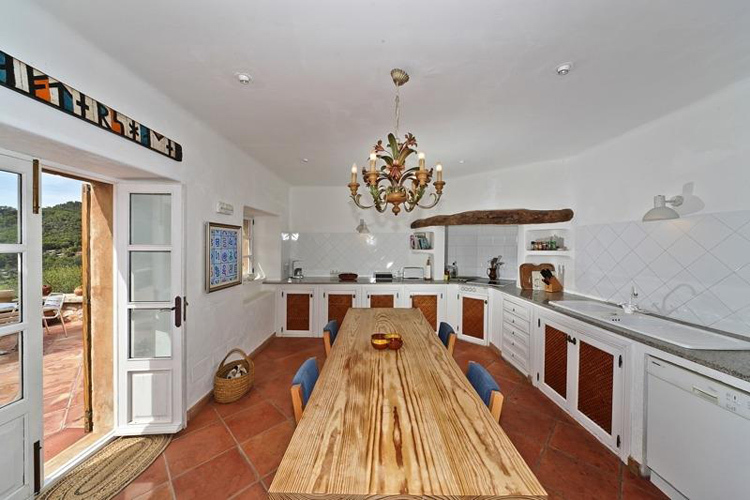 I love all the beams and I bet the interior stone floor is cool underfoot. Who wants to come with me? This is a total party house – I’m in! Holy moly, what a gorgeous home! Now where can I rustle up $5.5 million?! well if i had 5.5 mil i am sure i’d have a little left over for some new furniture, because that’s all it needs. other than that it really is pretty perfect. 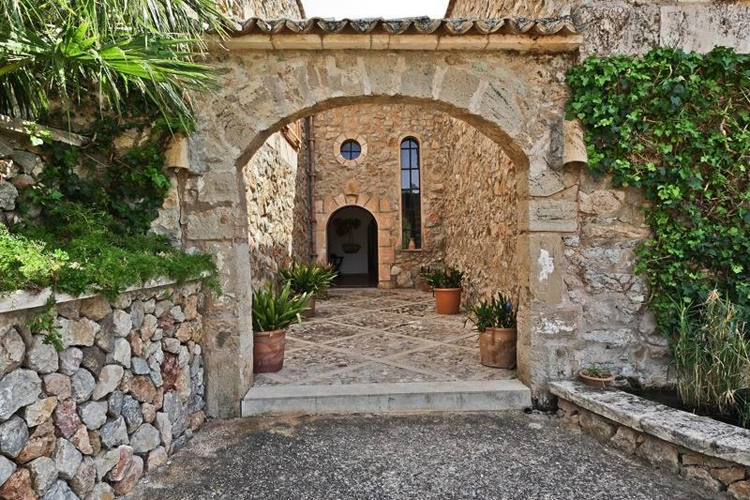 i love the walls and doors and window and beams – and i am guessing the views are pretty spectacular from that little peak through the door. yep, i’m in. I’d have to put another $1 mil in rehab. You know how I am about my kitchens! Definitely want to come! Gorgeous place…though I do agree with Christine..what’s with the furniture? The views though…I die. 5.5 million? 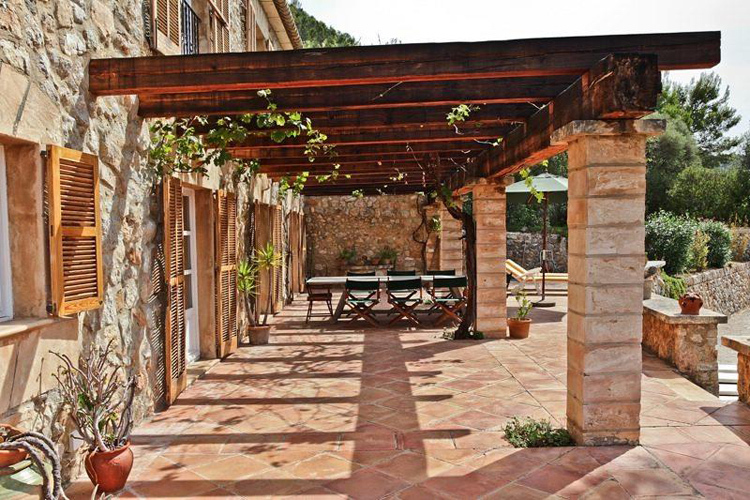 thats it :) I would move into the guest house.. usually homes like this have that right?